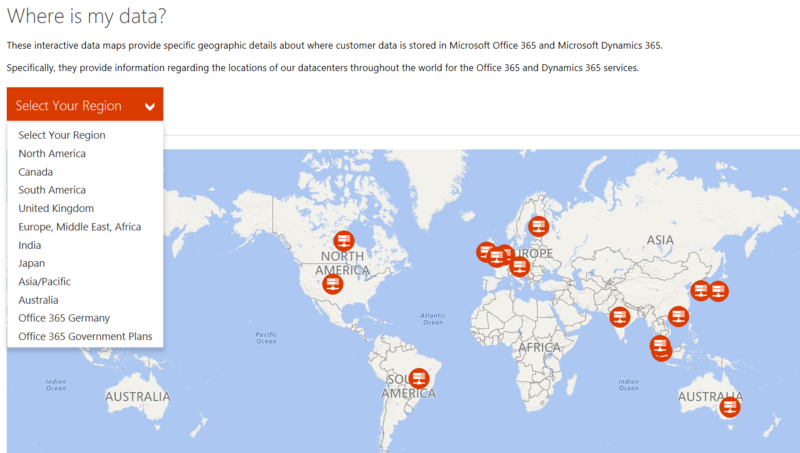 Microsoft operates over 100 datacenters globally and continues to open more datacenter regions for Office 365 for business services. That being said, not every datacenter is used to host Office 365 and its services, but they do add to the available capacity (storage) and other resources (memory and system processing power) to support customer demand and the associated usage growth. Some of the planning around the new datacenters goes beyond the resource level needs alone. New datacenters are also put online in geographic locations to offer “in-region” data residency for core customer data. Existing customers that have this “core customer data” stored in an existing regional datacenter are generally not impacted when a new datacenter comes online, with the possible exception if the replication partners change. A new datacenter being brought online generally doesn’t introduce new features, functionality, or other offerings. Where existing customers have specific data residency requirements, they will have the option to have their core customer data moved to the new regional datacenter as applicable. When the tenant administrator first sets up the tenant for a given configuration, what is selected as the customer’s country or region, determines the primary storage location for that customer’s data with respect to Office 365 or Dynamics 365, specifically, as a rule. One example of where this may occur is in a congestion situation, or to address other network latencies, be they temporary or an ongoing capacity strain. In a situation such as that, data may need to be copied to different data centers in different regions. In addition, personnel who have the most technical expertise to troubleshoot specific service issues may be located in locations other than the primary location, and they may require access to systems or data for purposes of resolving an issue. When this type of notice needs to be made, it will be delivered to tenant administrators who have checked the “compliance notifications” option in the My Profile part of the online services portal. When customers have a strict data residency requirement, they have certain options regarding their core customer data if it should be moved to a new region. The table below outlines some of the more recent datacenter regions and their corresponding ties to prior datacenter regions.